A worksheet for grade 3, end of the year. It is a Language Skills worksheets with writing and language skills:conjunctions, tenses, parts of speech, synonyms, antonyms, punctuation and unjumbling sentences. 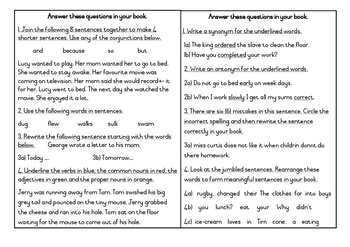 A good worksheet for extending children or for revision before a test or the ANAs.